Born in London Township, Upper Canada on 6 September 1840, he was educated in the public and high schools of that town. He was trained for a commercial career, and for many years was a teacher in the London Commercial College. He left there in May 1871 for Manitoba, and upon arrival settled on a farm in Kildonan on the east bank of the Red River. In 1862 he married Margaret Scott of London. They had six children, one of whom was born a month after the family’s arrival in Manitoba. He was employed as head bookkeeper for J. H. Ashdown for a number of years. While living in Kildonan he was active in municipal affairs and was a member of the first Council which was organized under the provincial statute. In 1883, during the brief period of existence of the county councils, he was warden of the group of rural municipalities in the County of Kildonan. 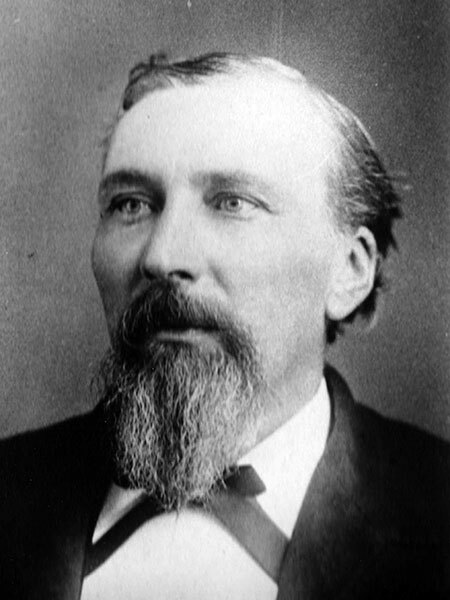 He was elected as a member of the legislature for the constituency of Springfield in 1883, and continued to represent this constituency until the next general election, 1886. After this he was employed during the session of the legislature as assistant to the Clerk of the House, and in the summer months was engaged in the office of the Winnipeg Exhibition Association. He was a sessional writer during the sitting of the legislature. He was a prominent member of Masons, serving as a Grand Secretary and Grand Master of the Grand Lodge. He died on 16 March 1897 and was buried in Kildonan Cemetery. “Death of John H. Bell,” Manitoba Free Press, 17 March 1897, page 1. We thank Keith Maitland and Stan Barclay for providing additional information used here.